For more details on how to prepare this menu see the Stress-Free Entertaining class. The inventors of fancy ‘Haute Cuisine’ but also home to wonderfully rustic country cooking. Tends to focus on fancy time, consuming techniques and sauces rather than simplicity. 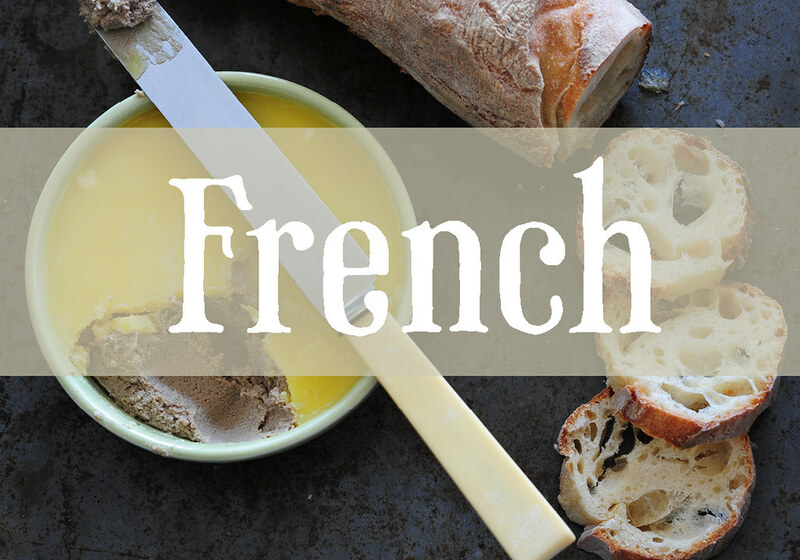 Instant ‘French’: Toss in some garlic, loads of sweet butter and a splash or two of wine. How to Be Parisian by Sophie Mas et al.